I heard it from Tom, who heard it from someone… There’s no way to officially confirm, because there’s so little information about her out there… But if it’s true, then February 4 is Cuckoo’s birthday! If it isn’t, I’m still happy to post all these songs… I’ve tried to post Cuckoo songs tonight that I hadn’t posted before, or hadn’t posted in a while. Happy birthday, Cuckoo! You’re welcome, Mister Naidu, and thank you for the video from Heera Moti – I didn’t know about that one, and it is nice too. I think I’ve already posted the Helen-Cuckoo video from Yahudi before. (IMO, another sort-of-mixed movie that has exceptional dances… The Kamala Lakshman dance in that one is sensational.) I get a bit lazy about searching my own blog, but actually, I wouldn’t be surprised if I posted that one more than once. As I was saying, though, I thought I’d put up a few that I hadn’t posted before, that people might not know about. I think a lot of people know about at least a couple of the songs that have Helen with Cuckoo… Cuckoo may have helped to introduce the world to Helen, but these days, if anything, it’s through Helen that people discover Cuckoo. Every time I see a high forehead and large bright eyes, I say Cuckoo! I listened to the qawwali frm Zeenat first because I love it. Happy Birthday Cuckoo! She was certainly truly great. That is Dulhan Ban Jao, Gale Lag Jao. There we get a historical sight of Zohrabai caressing Noor Jehan and also get to see Noor Jehan, Zohrabai and Menaka together! Vidur, I am looking at “Dulhan Ban Jao” now, and Cuckoo’s face appears very clearly in that song. So, I guess will put “Dulhan Ban Jao” up instead since there can be no doubt that that is Cuckoo in that song. Cuckoo doesn’t appear at all! Some others than what Mmwan mentioned are Kalyani, Zohrabai (both themselves singers also here), Zebunnisa, soon-to-become-famous Pakistani (future) actress Yasmin, etc…. Also a great Pakistani character actress Zeenat Begum (NOT the singer) got her debut in this film’s Sakhi Aaya Sawan Aaya, getting playback from Amirbai Karnataki. Her first main role was in another Noor Jehan film, Humjoli (1946) with Jairaj as Noor Jehan’s hero. You can check out my latest 2 YouTube uploads for extremely rare songs from this film. Zeenat later appeared in some more Noor Jehan films as character actress: Chan We, 1951; Dupatta; 1952, etc. Thanks for the information, Rimi. 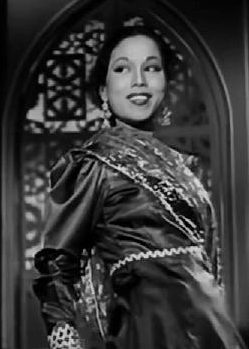 But it is perplexing, because there are many sources that say that Helen had started out as a chorus dancer in Shabistan and Awara, and there are many Helen fans who have been trying to see if they could spot her in those films. :) If you Google the phrase “Helen Shabistan,” you’ll find dozens or maybe even hundreds of sources that say Helen was in the chorus in Shabistan, including Wikipdedia. And, in fact, I’m somewhat certain that Helen said it in past interviews herself. I think there are a lot of false info about Helen and other actresses. Even her date of birth is listed wrong. Helen was born in November 21, 1940 according to Filmfare magazines but Wikipedia says she was born in October 21, 1939. She started dancing when she was barely 13 in 1953. In Queen of the Nautch girls interview, Helen says she was 16 yrs old in Howrah Bridge which was shot in early 1957. She was neither in Shabistan or Awara because they were both shot in 1950-51. As far as I have seen, the only chorus dancing video of Helen is this one from Sholay(1953). Sorry to be off-topic, but in his book about Helen, Jerry Pinto says that she was born on July 14th 1938. And I think mid-38 is much more plausible that end-39 or end-40, simply because she has always said that she remembers Rangoon bombings (early 1942) and she can recall details of the 8 months nightmare trek in the jungle to join India. Such things are very unlikely if she were only 2 years old (or in my opinion impossible if she were only 1). Besides, she has no reason to make-up a story about an obscure movie like Shabistan, and she did actually make a breakthrough in Alif Laila (shot in 52-53). Helen wouldn’t have been the 1st actress to mix-up some very old things and to let wrong information propagate in the press. What’s most tragic about, Cukoo, Cuckoo May, an Anglo Indian, she died a slow death, forgotten and unattended. And penniless. Film industry is most ruthless. And ungrate. Now, in 2012, how can we help someone dead decades back? Tragic. The best of Cukoo was in Andaz. Her steps on Khayalon me kisi ke and her expressions on char din ki in the same song. Sorry to contradict Vidur, but Cuckoo was part of Zeenat although she was not credited. 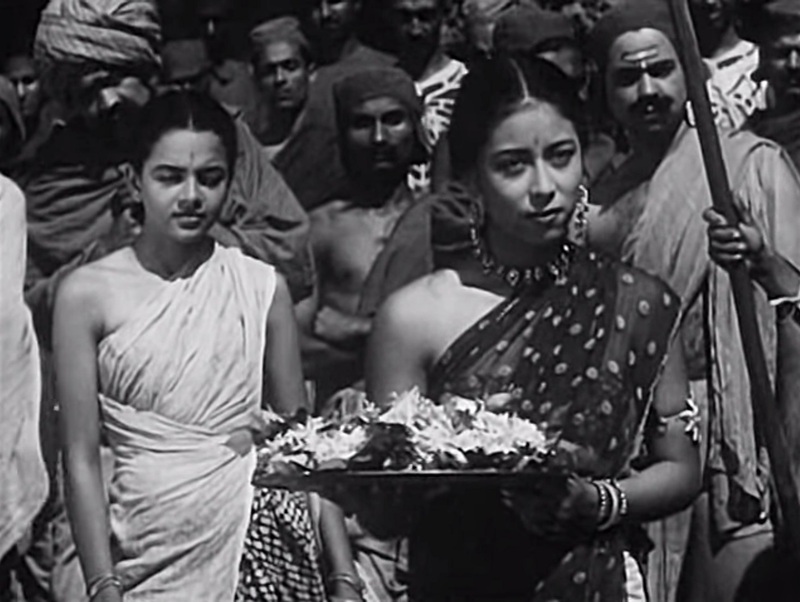 She can be recognized beyond reasonable doubt in a still from the movie that was published by Filmindia (April 1945, page 34, link: https://archive.org/stream/filmindia194511unse#page/n131/mode/2up). 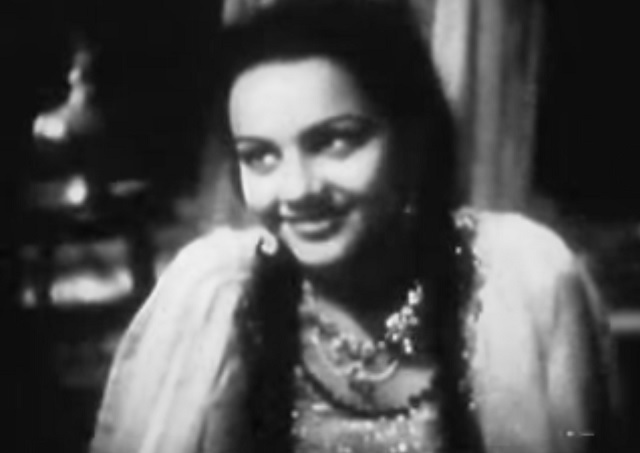 In addition, the young girl in Zeenat looks exacty the same as Cuckoo in an ad for the movie Sona Chandi in 1946 (Filmindia June 1946, page 6 link: https://archive.org/stream/filmindia194814unse#page/n405/mode/2up). 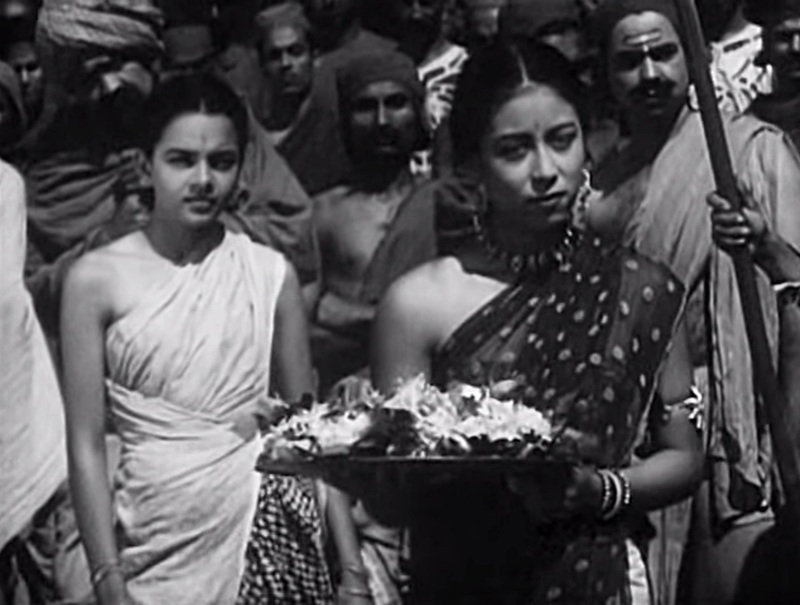 Later that year, she changed her name briefly for Kishori (link: https://archive.org/stream/filmindia194814unse#page/n485/mode/2up) and appeared in what is probably her first magazine cover in August 1946 (link: https://archive.org/stream/filmindia194814unse#page/n551/mode/2up). Mel, thank you for confirming Cuckoo’s presence in Zeenat. (And almost four years after the post, too! I see that some other comments slipped by me during this time – I never responded. Oh, well.) Anyway, yes, you are correct. And thank you for the great Filmindia links. I will definitely be visiting those again! Cuckoo is so mysterious that this is a never-ending thread :) Filmindia does not give much direct information on her. She is mentionned as early as in november 1945 for a movie called Mun-Ki-Jeet (Man Ki Jeet on Wikipedia). She was probably not credited in the film, but here performance must have been so impressive that the reviewer wrote: “The most reprehensible item in the picture is the vulgar dance of Cuckoo in the presence of Prakash. The words of this song are rather unhappy and the actual pictorial portrayal of the the dance becomes vulgar and repulsive owing to the pointed gestures of the artiste. It is surprising that a man of Ahmed’s fine culture and education should have permitted this dance to go in.” I’m dying to see that dance! So far, to the best of my knowledge, the earliest confirmed movie in which Cuckoo danced is Mun-Ki-Jeet, released 4th August 1945. Cineplot and others say she was also in Mujrim released somewhere in 1944. The earliest picture of her we have is from Zeenat, in 1945. Am I getting obsessed? Maybe I’m wrong, but this little girl looks very much like Cuckoo at about 13 or 14! The scene where she appears for a few seconds was probably shot in 1942, and maybe even in 1941. So it’s compatible with Cuckoo being born in 1928. This little girl in the movie has a curly-hair just like Cuckoo, same for her large forehead, her straight nose, her pointed chin or her fair complexion. Her pattern of hair growth is identical to Cuckoo’s, and I can’t spot a difference with her earlobes. If she’s not Cuckoo, she must be her twin sister. Sorry I’m not on Facebook. I wrote a very short biography of Cuckoo some time ago. Unfortunately it’s in French and I guess you won’t find anything new except maybe a rather complete filmography (http://www.fantastikindia.fr/site/Cuckoo,5672). The earliest Cuckoo dance on youtube is from Hum Ek Hain, released June 8, 1946. Manik Varma was apparently her voice, although Zohrabai sings some songs in that film. Before that, it’s more difficult and I’ve not seen any of her movies or dances. I was also not able to identify the singer in her early movies. – I think Mujrim was the 1st movie where she was credited. I assume it was released in 1944 because its music seems to have been available on record by January 1945. 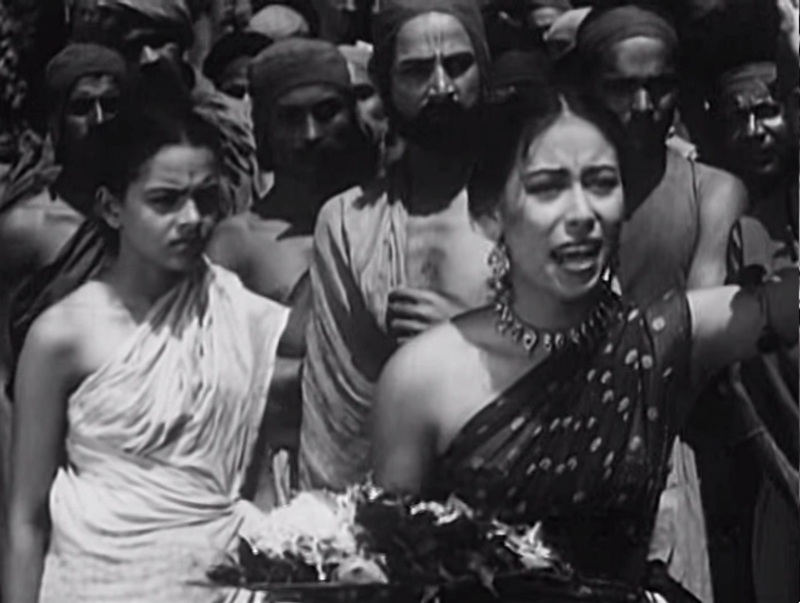 – Then comes Mun-Ki-Jeet released 4th August 1945, with a reference to her in Filmindia. 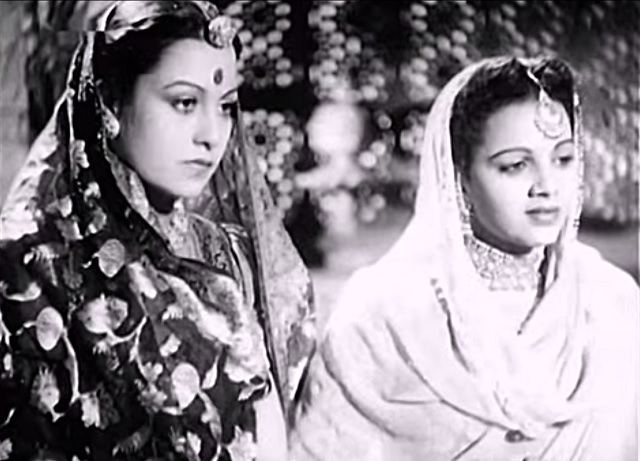 – Zeenat, where she was an extra, was released November 16, 1945. 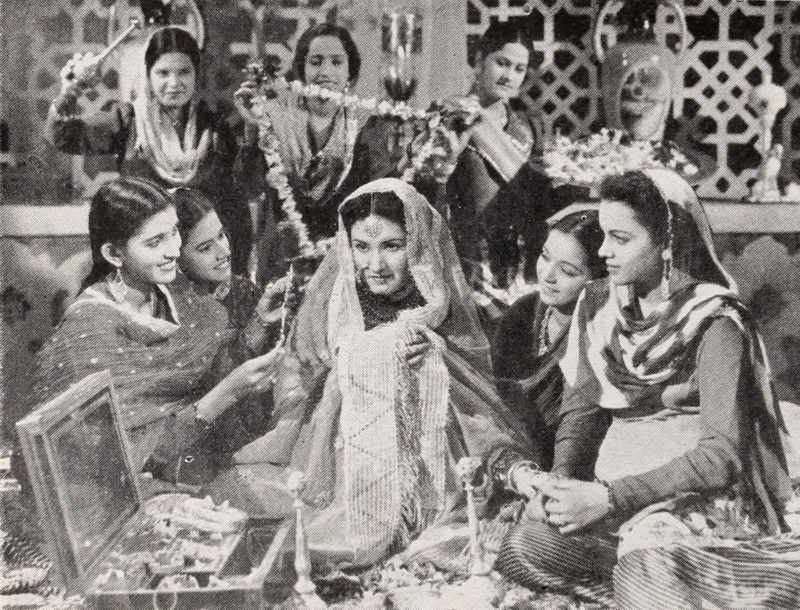 – Pehli Nazar was completed in 1945 and released in May/June 1946, first in Lahore. 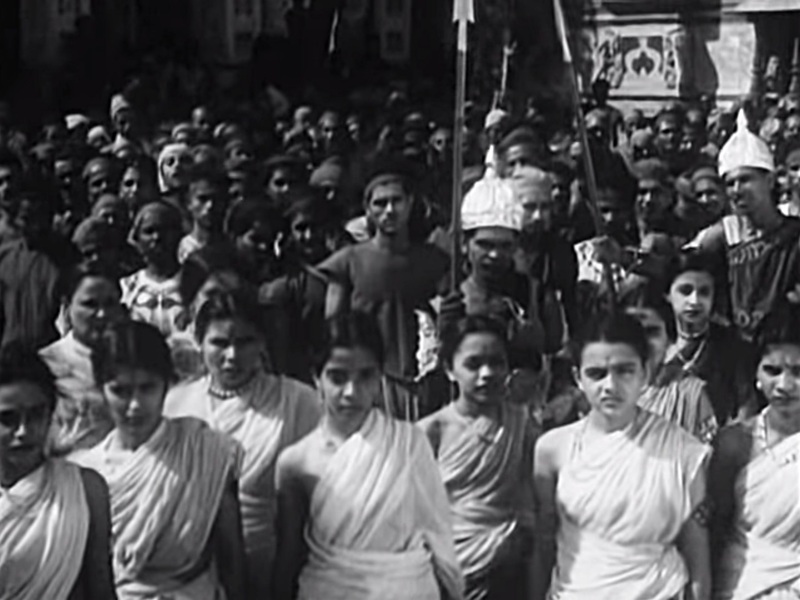 – Meghdoot where she may have been a chorus dancer was completed end 1945, and probably released early 1946. – Then come Circus King and Arab Ka Sitara maybe also in 1946 but I’ve not been able to find anything on those movies. There is no sign of Cuckoo in other regional cinemas (she was much later in two pakistani movies but it was most probably dances shot in Mumbai). There is also no indication of stage performances, which is something Auzurie did. The two movies where she was just an extra, Zeenat and Prithvi Vallabh, were shot in Mumbai. If her presence is confirmed, it is interesting to note that Cuckoo did not start as a chorus dancer like Helen did. So, the best guess is that she was from Mumbai or moved there at a very tender age, and stayed there all her career. My mother had told me long ago that in “Mun ki Jeet” it was Cuckoo dancing in front of villain Prakash in the highly controversial song “More jubna ka dekho”. She even told me the dress she had worn in that song had extra attention on the “jubna” or breasts with those typical pointed covers and Cuckoo kept on heaving them!!!! Cuckoo can also be seen in “Humayun” where Veena holds her tight at the time of death of Emperor Babar enacted by actor Shahnawaz. Cuckoo was acting the role of the sister of Humayun and was called Gulbadan. Cuckoo can also be seen in “Laila Majnu” in several scenes where girls are brought in front of the hero Nazir and she also had a full dance in this film but without a song- only background music. I have myself seen Cuckoo in “Pehli Nazar” dancing with two artistes in the lovely and enjoyable song “Khan kabul se aya hai wai wai wai”. It was like a drama song showing Cuckoo being wooed by a Pathan until the huge Pathani wife arrives and drives the hell out of the two. In “Zeenat” she is seen in the bridal song caressing Noorjehan. You can also see her in “Hum ek hain” dancing near the river bank in the scene where Dev Anand first meets the heroine Kamla Kotnis. However her first hit song was in “Mirza Sahiban” in 1947 where she dances on “Samne gali mein mera ghar hai” in front of the groom Rama Shukul. After that it became like a brand issue to have her in a film. Its so sad that films like “Mun ki Jeet” amd “Pehli Nazar” are clearly available in the Film Institute of Pune and no one is trying to make an attempt to make them into DVD or CDs. Strangely enough, I was able to rent Humayun from the New York Public Library for a few weeks… Unfortunately, I didn’t have a chance to watch it all the way through. (I couldn’t renew it because someone else had reserved it. So Humayun (1945) is in demand at the New York Public Library, Mid-Manhattan Branch. That’s interesting… Maybe the person who reserved it reads this blog, too. :) ) Anyway, if only I had been able to hold it for another week, I could have looked for Cuckoo there after reading your message. The scene with Cuckoo in Zeenat is in the last of my clips in the body of this post, above. Yes, it was fun spotting her there. I’ve wondered about this myself. Since the Indian home media companies can’t be counted on to release these films, even in the horrible versions they usually make available, I would think the NFAI would make every attempt to release on DVD all restored public domain films in their possession. That way they could at least make some money to fund their research and preservation efforts. And although they show their films from time to time around the country and have released the silent film DVD they, apparently, have no intentions of releasing more. I would love to be proved wrong. Thank you, Sami, for that very nice post. I share your same feelings Tom…. Sami, I did not see your great post. What a memory! (Dustoff suspected this almost 4 years ago, but the information went apparently unnoticed). Expect the “Prithvi Vallabh case” for which there is a doubt (a small one for me), the preceding picture from Humayun is probably the earliest Cuckoo picture available today (Humayun and Zeenat were shot at about the same time, Humayun having started earlier). She was about 16. 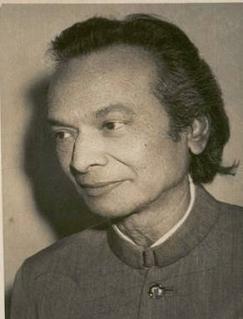 Richard, Man Ki Jeet had very popular songs which are still melodious. ‘nagri meri kabtak”, dil kaahe ghabraaye”, ‘humko nazar lagjayegee, “jubna ka”As a child we had a wind up gramophone player and could afford only a few records, we had this one and heard it numerous times. By the way, I just realized that Cuckoo was in two “Laila Majnu”. The second one is from 1953 with Nutan and Shammi Kapoor: https://www.youtube.com/watch?v=nqvF4shdmsc She opens the movie with a lovely song and plays a small role just after the dance. Dance director is Prof. More AND an artist called “Kukoo” is credited in the supporting cast! This was published in the July 1945 issue of the Talkie Herald, page 48. It’s the earliest reference to Cuckoo’s name I’ve ever seen. And by an extraordinary coincidence, it is in a movie where dances were choreographed by the mysterious Prof. More!! P.S. 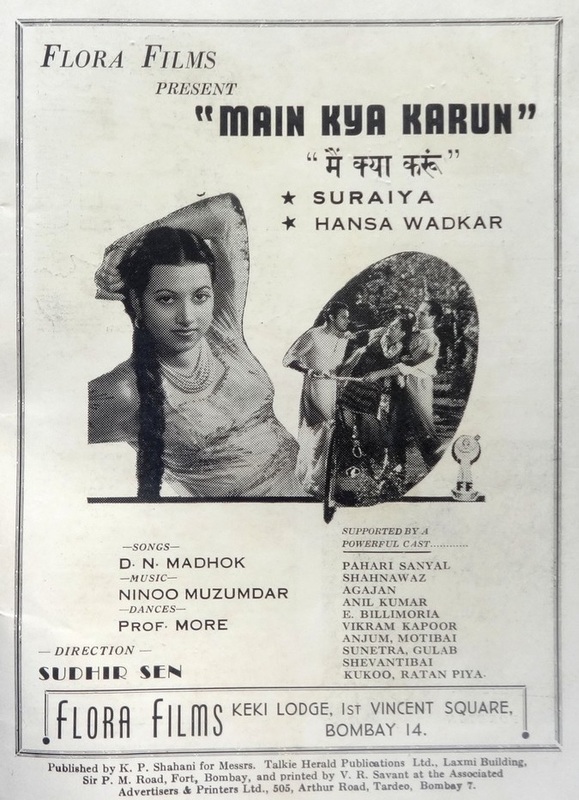 Main Kya Karun was released 12th July 1945 in Bombay. It’s too bad that it’s impossible to see her dance from this film on YouTube (or anywhere). In fact, there are no scenes available. But there are a couple of audio clips up – some nice songs by Suraiya. Yes, it’s really frustrating when the video is not available. Let’s cry together with that one: https://archive.org/stream/filmindia194814unse#page/n137/mode/2up (left page, ad for Shravan Kumar 1946). The dance master is K.S. More, nothing extraordinary. But look at who is in the supporting cast… a new name… just after Majjid. If the movie was available, I imagine we could actually see him. How frustrating! On the other hand, indiancine.ma gives access to probably all kept silent movies. YT and indiancine.ma allow us to see a large chunk of the production that is still available. Some important films are missing like Al Hilal (Judgment of Allah) which should contain early Azurie dances, and Mun-Ki-Jeet which contains a shocking dance by Cuckoo. But they are around somewhere (NFAI has them) and I’m sure we will be able to see them someday. Even better, more than 50 full movies with Cuckoo dances are currently available on the Internet. That’s 1/3rd of all Cuckoo movies! The video quality of most of them is extremely poor and even worsen by stupid cropping and crappy logos. But thanks to Tom’s magic, some are watchable by non die-hard fans. Frustration arises when searching for a forgotten dance master like K.S. More (BTW I now think that the ‘K’ stands for Keshavrao, but I’ve still no clue for the ‘S’) or early Cuckoo’s appearances. Small details surface very slowly and it’s awfully difficult to draw an accurate representation of her carrier’s beginning. Mel, I wanted to get back to you sooner in response to some of your comment above. But I wanted to check out Indiancine.ma more than I have so far. The list looks impressive, but I have to admit, when it comes to actually finding things and figuring out the best way to view them, etc., these sites (Indiacine.ma and Pad.ma) seem a bit daunting to me. I had a short conversation on Facebook with Cassidy aka Minai (of Cinema Nritya Gharana) about the version of Uday Shankar’s Kalpana on Pad.ma vs. the one on that’s now on YouTube… Cassidy had added some annotations to the one on Pad.ma and was asserting that this was technically the better one. But she also agreed that it was not at all “user friendly.” And this is the problem… The one on YouTube is a little shakier, but it is so much easier simply to go to that and play the video with one click! So, anyway… I would welcome suggestions of silent Indian films (or other vintage rarities) that could be found on YouTube, or maybe Vimeo. (Dailymotion, too, but it’s been acting a little erratic in my old computer/laptop recently.) 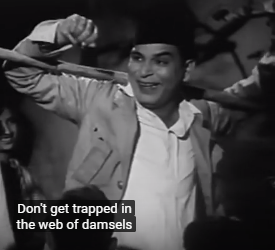 I’ve found very little in the way of silent Indian films on YouTube – no more than a couple them (including the one Tom posted, and the compiled “fragments” of Raja Harishchandra)… I’d love to find some more! I generally don’t like giving my e-mail address in specific comments (especially using the “at” sign). I have had lots of spam troubles and who knows who will pick up what? I don’t know if it makes a difference, but I figure people do have one place where they can look if they want to contact me. But f I don’t hear back from you shortly, I probably will look back into the comment edit function and contact the e-mail address that I have for you. But I guess I am getting ahead of myself here. I look forward to finding out more about this one way or another. Guddi, thank you for sharing this very interesting story. I would not know how to solve that mystery! I am going to write to Mel (unless you are reading this right now, Mel) and maybe he or someone else might be able to offer some more helpful words. In general, I have really only searched for information about Cuckoo’s artistic/dance connections and the story behind her becoming the great dancer that she was. The connection to her husband (or the man we are pretty sure was her husband) is very interesting, because, as a choreographer, he might have helped her a great deal in developing that art. I am still waiting for one comenter, Jaya, to send more information re. the stories she heard within her own family about Cuckoo’s husband. Guddi, these were Cuckoo’s peak years in cinema. She was involved in the Bombay film industry. But you mentioned her staying in Pakistan and performing in a hotel in Pakistan. Partition happened in 1947. Why/how would Cuckoo have gone on long trips to Pakistan and performed in a hotel there while she was the biggest dancer in the Bollywood film industry at the same time, performing in tons of Bollywood films, especially right after independence and partition? There is also the matter that we’ve kind of concluded here that she was probably married to K.S. Moray for a while, and during this time, she was in some films for which he was the choreographer. Are you sure the dancer/actress was Cuckoo? Something here isn’t adding up. Maybe someone else will have some thoughts about this. I can’t think of any way I could help you to solve this mystery.